The internet and real estate professionals are the top two resources most buyers turn to when searching for a home. When it’s not convenient for you to speak directly with a real estate professional, realtybrokers.com can help improve your overall home buying experience and provide the guidance to reduce stress, save time, and make you a savvy, successful consumer. Contact us anytime for a free market analysis on your property to find out what it is worth in today’s market. Check out our advanced property search page. We also have many articles on our site with tips for buying, selling along with interest rates and mortgage information. A Realty Brokers Agent is ready to make a full-time commitment to help you capitalize on current market opportunities and assist you in making an informed decision. Would you like to receive more information on the home buying process? Contact a Realty Brokers Agent. 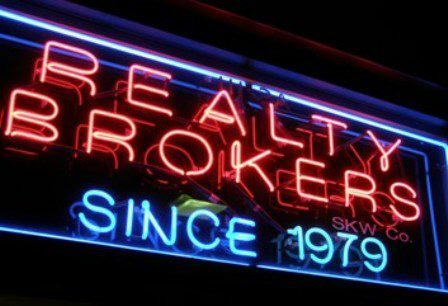 “Realty Brokers was the answer to my prayers. Linda and Deb went out of their way to make sure that I had everything I needed and even introduced me to my lender. Their knowledge and service are stellar. As a veteran, I used my VA home loan benefit and found that with their help, the process was fast and seamless. If you are still looking for home broker, your search should end here. Make the call and you will find that Realty Brokers will take the fear and anxiety out of the home buying process.” Daniel C.
“Linda and Debbie with Realty Brokers were fantastic. They met with us and got to know my family and thoroughly talked about our want and wish list for a house. We basically gave them mission impossible with want list. We wanted to stay in the same school district, 3 bedroom 2 bath, nice yard, a fenced yard, plenty of storage, and….. don’t break the bank. Then a wish list just as long. Very next day Debbie and Linda were showing us homes. In no time at all they found us the perfect place. Though they didn’t stop there. They stayed with us the whole month of closing. From the simple courtesy of asking how we were holding up through the process to answering all of our questions in depth as well as meeting us anywhere to get signatures. They also met with home inspectors and appraisals with/for us. Start to beyond finish they were great. They were kind and engaging to our 10 year old daughter that made her feel pride of the process. Many good Realtors out there, Debbie and Linda are not only good Realtors they’re good people. I just can’t say enough about them and I would highly recommend them.” Jeni S.
“My association with Realty Brokers has given me much satisfaction. There was no high pressured sales and I was allowed the freedom to identify my particular needs and desires of the home I wanted to purchase. Linda was warm and genuine and made me feel comfortable in purchasing my home.” John M.